April 1986, joining a company "NOMURA securities co., ltd." Through Kumagaya branch head manager and Saga branch head manager etc. After retiring from NOMURA securities co.,ltd. 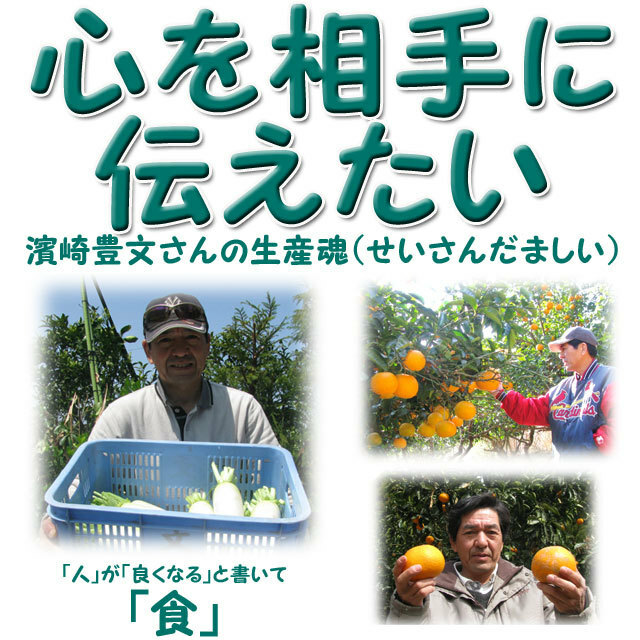 on 31st May 2010, established KYUSHU BRAND co.,ltd. Feature 1 : If you boil them for a long time, they don't be mushy. They are appropriate for Oden and Nabe-Cooking. Feature 2 : The longer you stew them, they become sweeter. 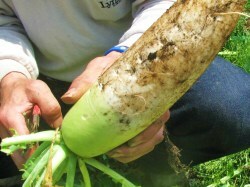 Feature 3 : When you make them grated radishes, they become so hot. 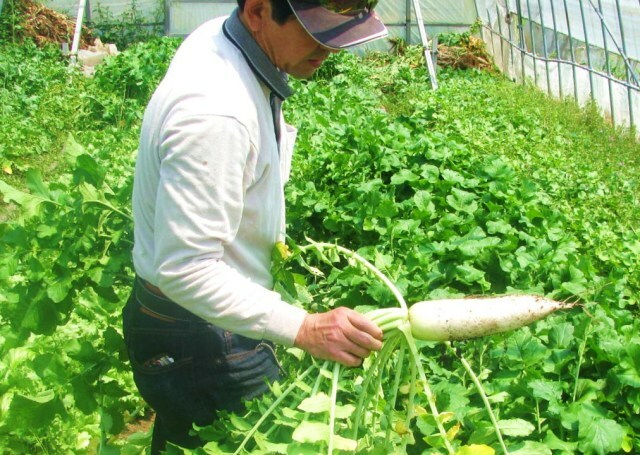 Feature 4 : Although harvest of radishes is generally winter, Mrs. and Mr.Hamasaki repeat inventive ideas and make shipments from the end of April to the middle of July in addition to the winter season. Originality 1 : They use only organic manures. 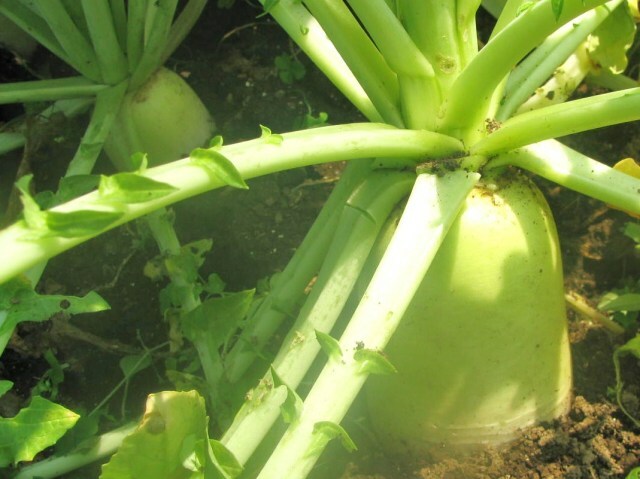 In addition, they use a pesticide just a once for a countermeasure of bugs in seedling period (decrease pesticide cultivation). 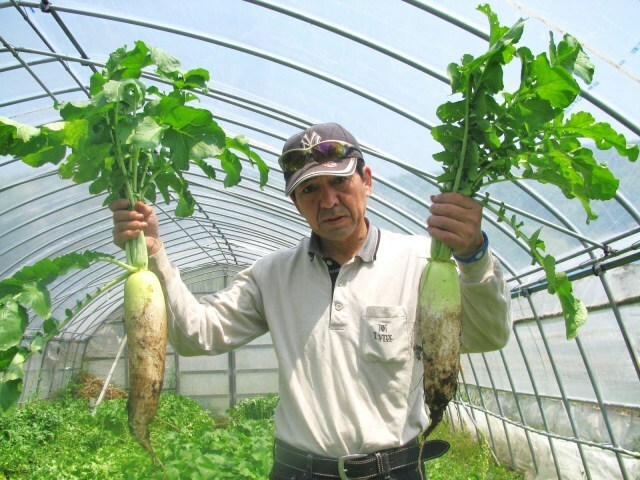 These are the radishes cultivated in excellent soil which is passed 10 years after becoming such an organic soil. 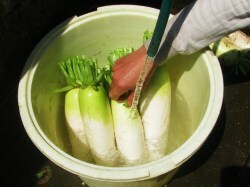 Originality 2 : As for the soi for radishes' cultivation, it is important to be good water retentivity and good drainage. 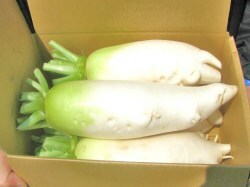 They are so delicate vegetable. 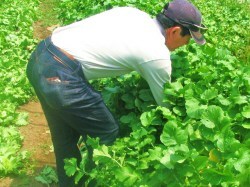 To begin with, this area's soil is good for cultivation of citruses (good drainage), so they conveyed soil like bullet which is excellently water- retentive from next city Notsu and covered it onto good drainage soil. Originality 3 : As for water, they use "subsurface water" springing out of the 15m basement. I would also tell the land's features. A hint is "There are many tasty fishes in Bungo-Sea". Why there are a lot of fishes in Bungo-Sea?.......Because there are plenty planktons which are beit for them and are stable. That is to say, because there are a lot of and stable minerals which are necessary for breeding planctons. Then, that minerals? 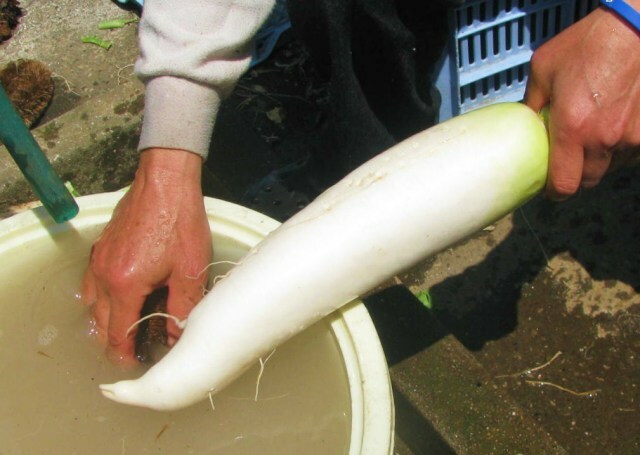 .......Yes, they are poured into Saiki- Bay through Riv.Bansho (Best100 clean river in Japan) and Riv.Fukiura etc. from "the mountains ahich have deciduous broad-leaved tree" in Saiki-city. 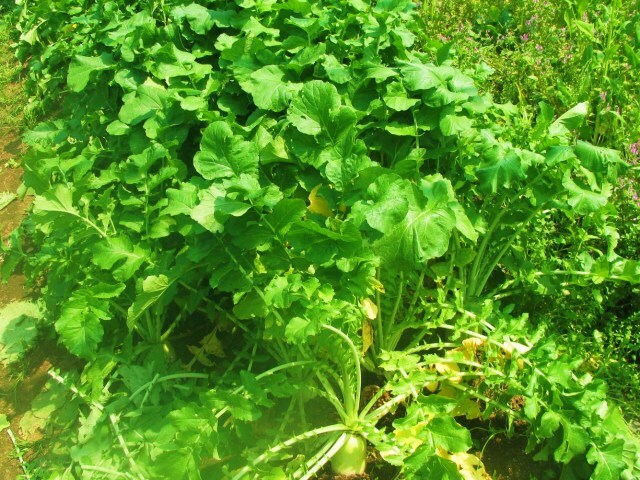 Put simply, they are mineral-abundant soil. In addition, it is a digression, the stage of a song "port of the man" of Mr.Ichiro Toba is right here Tsurumi, Saiki-city. Dou you know it? 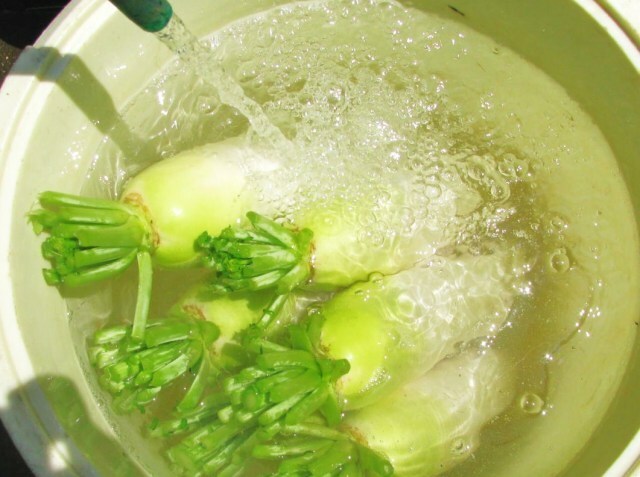 They will deliver you such radishes which have many originalities and features, without leaves and after washing out by water, in Bowdoin bag and in cardboard. 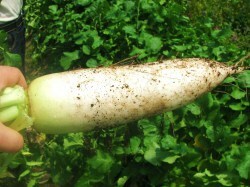 As for variation, there are standard radishes around 6kg and out-of-standard radishes over 2kg. 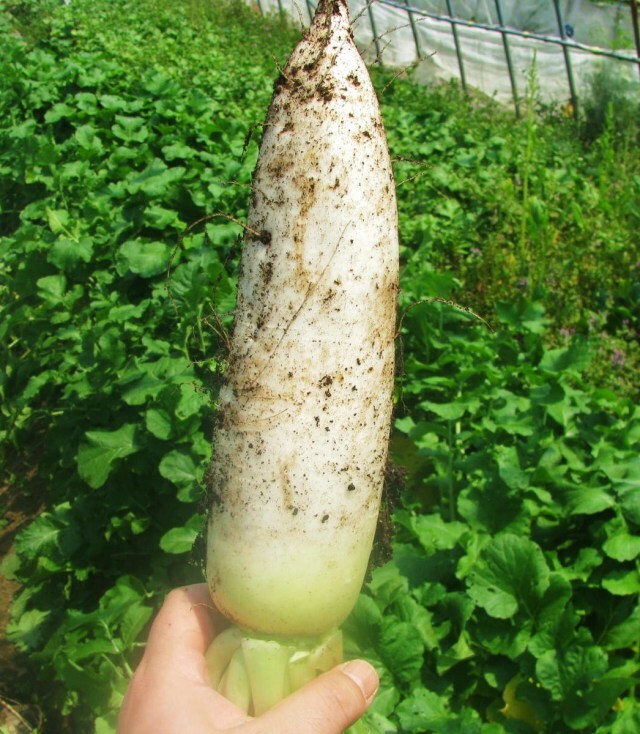 This is the pages of standard radishes around 6kg . At this occasion, please have a shopping at any cost. 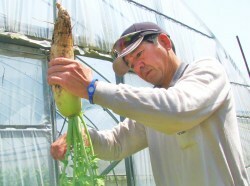 Copyright (C) 2010 九州農水産物マーケット「Ｋリーグ」の九州ブランド株式会社 All Rights Reserved.